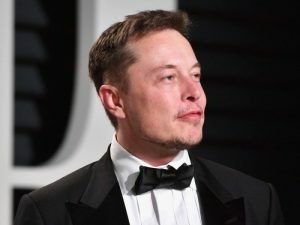 If we make a list of this decade’s most popular people, Elon Musk would be at top 3. From his innovations to his personal life, everything he does has a great potential for the society to chat about. Even his hair transplant is all over the internet. He is surely one of the most influential inventors and also has a peculiar charisma that no one can deny. But the question is: Would he be so charismatic and influential without the hair transplant? It is a fact that the first impression has a massive effect on our thoughts about someone or something. As the first impression is strongly connected to how that someone or something looks like, our question sounds reasonable. 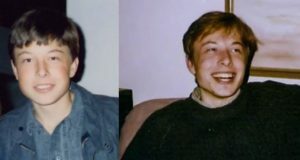 Here is Elon as a kid and a young adult. The facial features and his eyes are just the same as they are today. His hair seems very dense and healthy. Or does it? 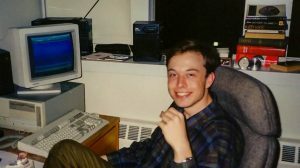 Take a closer look to the young Elon Musk now. It is obvious that he has a thin hair type. The hair on his forehead looks a bit weak as it is not as dense as the rest. This can be considered as a sign of a potential hair loss in future. 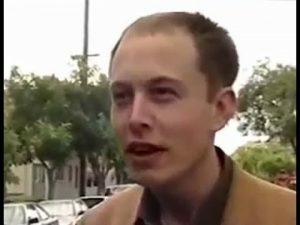 Just a few years later and you can see Elon has a typical receding hair. This is the official starting point of the male pattern baldness. It starts from the frontal area, specifically from the temples. On the right side of his forehead, you can easily spot the gap without hair. On a closer look, you can see that it has not stopped there but slowly creeping toward the crown area. This hair loss progression will be more apparent just a couple of years. We have good news and bad news. 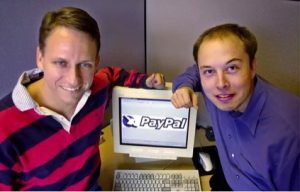 Let’s start with the good one: Elon Musk has founded the online payment platform PayPal and become a billionaire in a very short time. That’s his first giant step to become a globally appreciated figure. Bad news: His hair loss is not stopped but advanced to his crowns. He has shifted from receding hair to balding hair. We can give him a good Norwood 4 on the Norwood Hamilton Scale, the globally acknowledged standard to diagnose the intensity of hair loss. If he did not do anything about it, it would eventually arrive at Norwood 5 or 6 easily. You can see that the frontal area and temples are completely without hair now. The only hair on the crown looks very thin and foamy which indicates a great potential for hair loss to advance. Dihydrotestosterone does not spare you even if you are the owner of PayPal. DHT is the real reason for the male pattern hair loss. It is a by-product of testosterone as a result of its biochemical reactions to certain enzymes. Shortly, if your testosterone is affected by some particular enzymes, you start to produce DHT and it makes your hair fall. 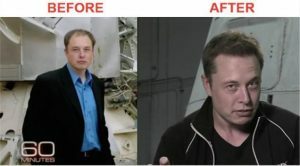 Thanks to his good luck, Mr Musk might find a way to defeat DHT as the hair transplant technology was getting better and better while Elon was losing his hair. As an inventor and innovator, it is not hard to guess that he saw the rising opportunity in the rising hair transplant technology and directly went for the treatment. Let’s see what happened: It seems to go with the right decision. The result is perfect. The change is just beautiful, isn’t it? 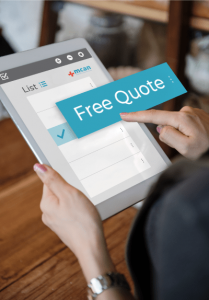 One of the most crucial stages of hair transplant is to analyze the patient’s condition very well and come up with a suitable plan for each case. According to the plan, a new hair line is designed for each patient, the density is determined and the approximate number of grafts to be extracted is calculated. The result shows that an experienced hair transplant team took care of him. It is obvious that he had a unique hair line design which looks very natural. The density and volume of his hair are also very suitable for his face and the scalp. The number of grafts should be around 4000 as he had a large balding part. He is surely enjoying his new hair now. There is no doubt that it really adds a lot to his charisma. Hair may be just hair to some, but we can understand that it is more than that. It is as important as your nose when it comes to how they change your look. Also, it includes “losing” a part of you and this is not a desirable situation for anyone. 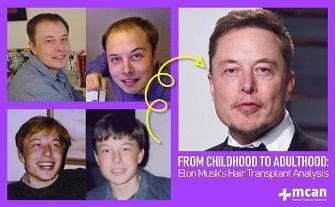 That’s why it is reasonable to think that getting his hair back with a successful hair transplant has a part in Elon Musk’s life to increase his attractiveness and charisma. This should also lead to a confidence boost which can always be seen in his eyes. As MCAN Health, we consider every part you may experience during a hair loss treatment. The condition of your hair, the condition of your psychology and the most suitable personal plan are our priorities. This principle is the reason behind our satisfying results.